These days many of the of my favorite are people having babies. Since I move around a lot, I rarely get a chance to see them or help out in any way. This instrumental mix is a modest attempt to right that wrong. 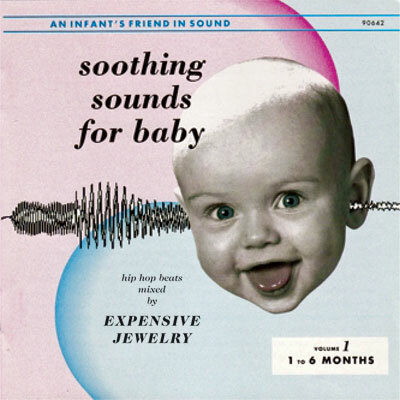 It provides a nutritious blend of baby-friendly beats to feed a growing mind and nourish a grimey soul. Posted on 10.23.09	to everything is everything, jam on it. Subscribe to follow comments on this post. 17 comments. Add your thoughts or trackback from your own site.